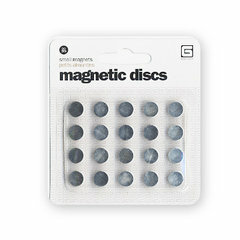 Easy-to-open magnetic snaps are perfect for any scrapbook or card project. Use ANYWHERE you wish to add a closure or unique interactive embellishment. Includes 10 pairs of 3/8"wide x 1/32" thick magnetic closures.